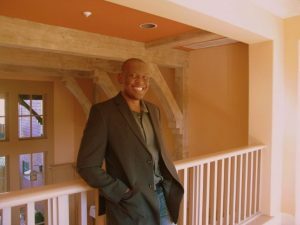 Radio-frequency Identification (RFID) technology has come a long way since Dr. Tyrone Grandison led the mining of RFID data networks at the IBM Almaden Researcher Center. In the early 2000’s, one of the biggest issues in RFID was the huge in-flood of data. For example, Wal-Mart generated as much data in three days as is contained in the entire U.S Library of Congress. Even more modest RFID deployment generated gigabytes of data a day since each tagged item sent data continuously about tags built into PDAs, cell phones, moving objects, and people, according to the IEEE. Grandison headed the team that pioneered research in RFID and Mobile Data Networks. The work was the first to show how to perform privacy and security compliant queries across RFID databases and mobile devices. Grandison’s research helped revolutionize the way we track items in supply chain, retail store, and asset management applications. Now, RFID will enable the collection of real-time location, speed, and rotation data for NFL footballs. On Thursday, Sept. 7. the NFL announced Radio Frequency Identification (RFID) tags will be in all footballs used in NFL games. In collaboration with Wilson Sporting Goods, supplier of the Official Game Football of the NFL, Zebra Technologies will deploy RFID tagged footballs for every game during the 2017 NFL season. To enable data collection during NFL games, Zebra and Wilson attach RFID tags in player equipment to track their movements. The ball data is collected at twice the rate of player tracking data as the ball travels at more than twice the speed of the players. The data resulting from this season’s analytic enhancements will be used by broadcasters as well as other media partners to enhance the fan experience. A growing number of NFL teams use Zebra’s Sports practice solution, including the New Orleans Saints. As businesses digitize in a smarter, more connected world, Zebra is leveraging the same tracking and location solutions technology for enterprises in healthcare, retail, manufacturing and transportation & logistics to give visibility to an organization’s assets, people and transactions. A year earlier, he was recognized as a Modern Day Technology Leader at the BEYA STEM Conference and and a BEYA Science Spectrum Trailblazer in 2012 and 2013. He has co-invented over 47 patents. Grandison’s career started as a software engineer in Jamaica. He received a bachelor’s degree in computer studies from the University of the West Indies in 1997, a master’s degree in software engineering in 1998, and a Ph.D. in computer science from the Imperial College of Science, Technology & Medicine in London in 2003. He then joined IBM at the Almaden Research Center in California, where he worked on data privacy and security.